Microsoft says sales of Windows Vista are beating expectations. With more than 20 million copies sold since release, it has eclipsed the early performance of Windows XP, which sold 17 million licenses in the first two months on sale. Microsoft presented its sales figures last night, stating that in the month from the Windows Vista launch on 30 January to 28 February, the operating system had sold some 20 million copies. Windows XP 's opening month was in November and December 2001. The figures are contrary to many reports over the last month that Vista is not selling as well as it should. 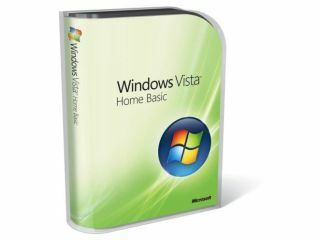 "With every new version of Windows, there are people who forecast poor sales, and complain that the new operating system lacks compelling reasons to upgrade," says Paul Douglas, editor of our sister publication Windows Vista: The Official Magazine . "This is nonsense, of course. Windows Vista offers a host of improvements over previous versions of Windows, both visually and under the bonnet, so we're not surprised to see sales ahead of expectations." Not everybody agrees. Michael Silver, vice president of research at analyst Gartner, actually thinks sales should "probably should be more." Silver told the Associated Press news agency that, as the PC market has nearly doubled in size since the launch of Windows XP, the number of Vista sales should have too. Silver said 51 million consumer PCs were sold in XP's first full year - 2002. This year 96 million home users are to buy a computer. The sales figures include licences sold to computer manufacturers such as Dell and Hewlett-Packard , direct sales through upgrade programs, online sales, as well as sales through resellers.